Life is confusing for Mateo Martinez. He and Johnny Ramirez don’t hang out anymore, even though they used to be best friends. He and his new friend Ashwin try to act like brave, old-time knights, but it only gets them in trouble. And last night, two skunks stole Mateo’s old trike. Wait—two skunks stole his trike? Mateo is too big for that rusty kid toy. He has a cool, shiny new bike anyway. 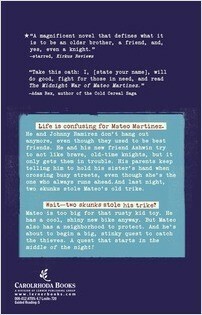 But Mateo also has a neighborhood to protect. 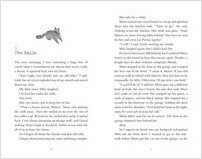 And he’s about to begin a big, stinky quest to catch the thieves in the middle of the night! 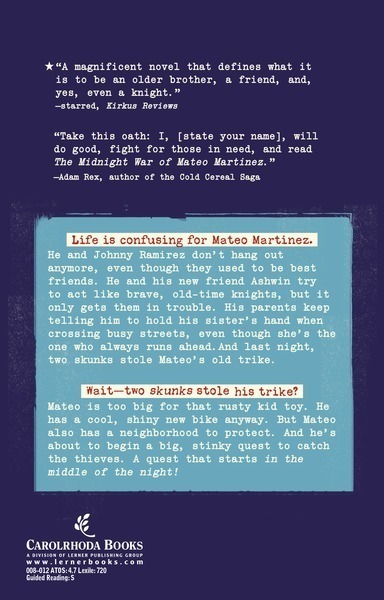 As Mateo protects his neighborhood, he also learns a few things about growing up and letting go. 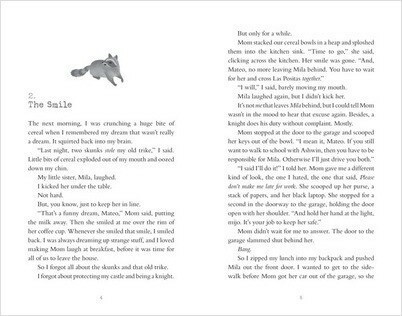 Robin Yardi is a children's book author and a California credentialed teacher. She lives in the hills of Santa Barbara with too many pets and just the right number of children.